Verena has been involved with EU trademarks from the very beginning, having founded her former firm's office in Alicante in early 1996. She has extensive experience in all matters relating to prosecution and enforcement of EU trademarks and designs, in handling proceedings before the General Court and the Court of Justice of the European Union in Luxembourg, in multijurisdictional trademark clearance, portfolio management, as well as advising on complex IP conflicts in the European Union, on effective dispute settlement strategies, and on the protection and enforcement of non-traditional marks. She holds a doctorate in law from the University of Munich, has authored and co-authored numerous books and articles on the Community trademark and design, and is a frequent speaker on these topics. 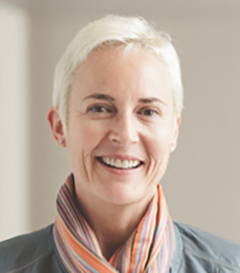 Verena teaches EU trademark law in two Master programs, currently chairs INTA’s Trade Mark Office Practices Committee and is a member of the European Advisory Council of INTA. She received the 2014 Volunteer Service Award for the Advancement of Trademark Law from INTA. She is also a member of ECTA, PTMG, GRUR and ASIPI. Apart from her native German, Verena is fluent in English and Spanish and can read French and Italian. Concise European Trade Mark and Design Law aims to offer a rapid understanding of the provisions of trademark and design law in force in the European Union (EU). Buy Now!